Affalterbach – After the gullwing version, the open-top variant is the second car to be independently developed by AMG. 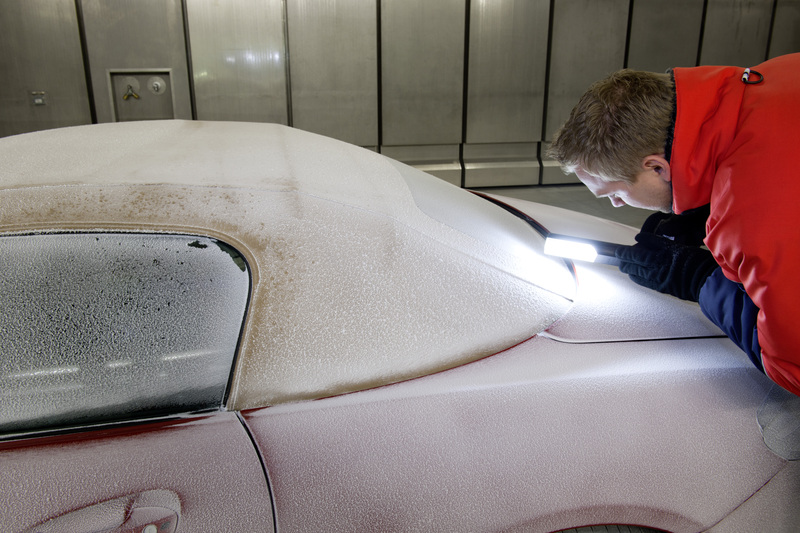 The Coupé and Roadster concepts were created in parallel – which brought decisive advantages during the development process. During this approx. 3-year period for the SLS AMG Roadster, the engineers devoted particular attention to the aspects of bodyshell rigidity, driving dynamics, the soft top and NVH. There are still several months to go before the world premiere at the International Automobile Show in Frankfurt/Main in September 2011. 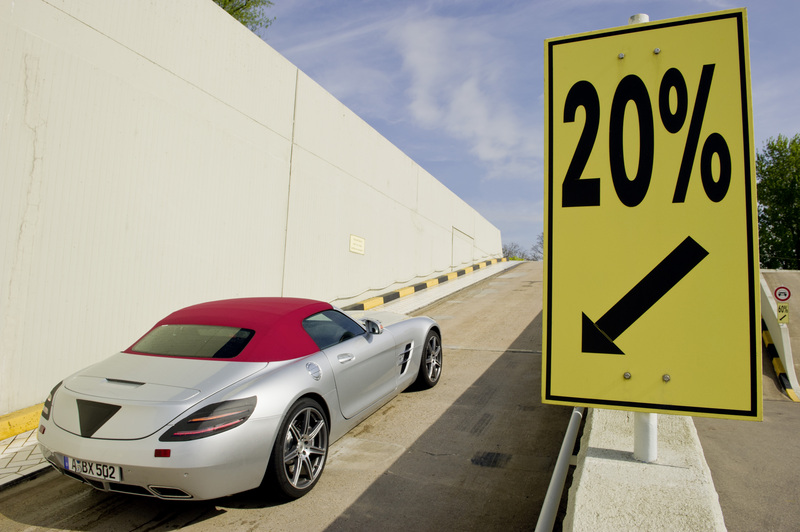 Enough time to verify the maturity of the new SLS AMG Roadster. The personnel responsible at AMG have already completed most of the work involved, as the Coupé and Roadster were created in parallel. 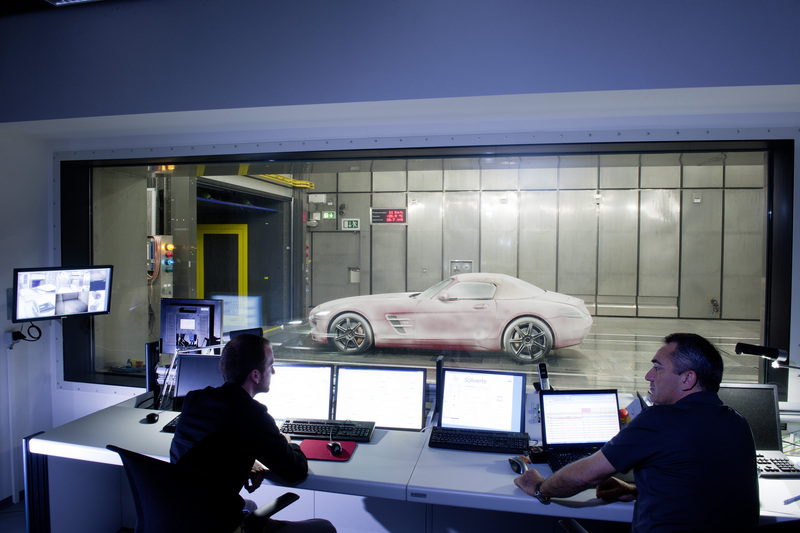 The development and testing of a new AMG high-performance car is based on the digital prototype (DPT). Extensive investigations help to achieve specific objectives. 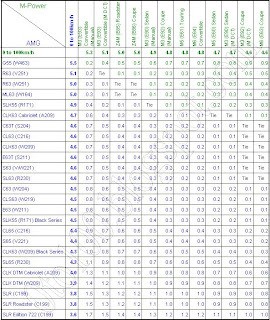 Whether these concern the bodyshell design, weight distribution, engine position, centre of gravity or axle design, or of course the handling dynamics, aerodynamics, ergonomics, crash behaviour and production process – the very latest simulation programmes allow the very realistic representation of a vehicle and all its characteristics. The digital prototype is therefore a complete, virtual automobile. Naturally all these development aspects are closely linked, as Tobias Moers (44), head of overall development and member of the Executive Board at Mercedes-AMG, explains: "Without bodyshell rigidity there are no handling dynamics, and neither can the close fit of the soft top be guaranteed." 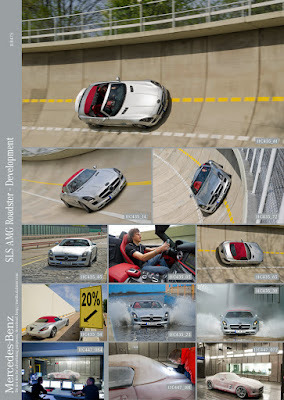 As the Roadster variant was already taken into consideration during the conceptual phase for the SLS AMG, the lightweight and extremely rigid aluminium spaceframe was specified at a correspondingly early stage. Owing to the omission of a fixed roof and gullwing doors, it was necessary to design the side sills more robustly. But not primarily to meet the legal requirements in the event of a crash – in principle the Roadster would also manage this with the side sills of the Coupé. 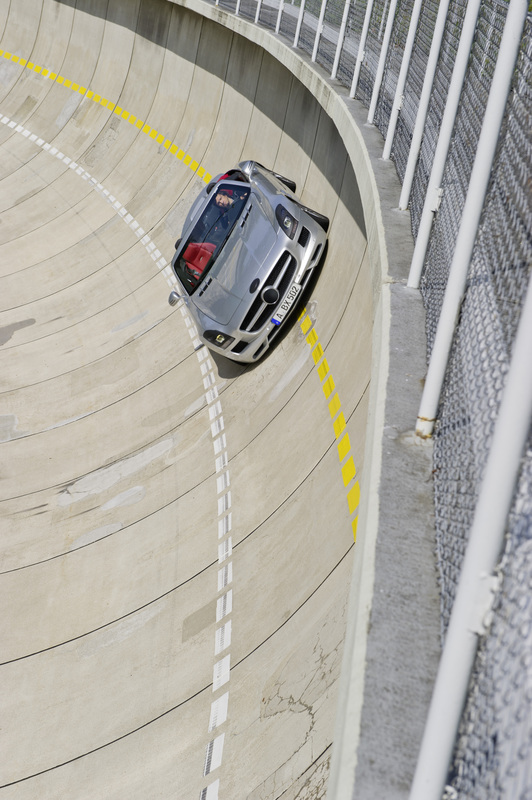 Studies and test drives showed that the driving dynamics could be improved even further with this measure, therefore side sills with greater wall thicknesses and chambers were developed for the open-top SLS AMG. 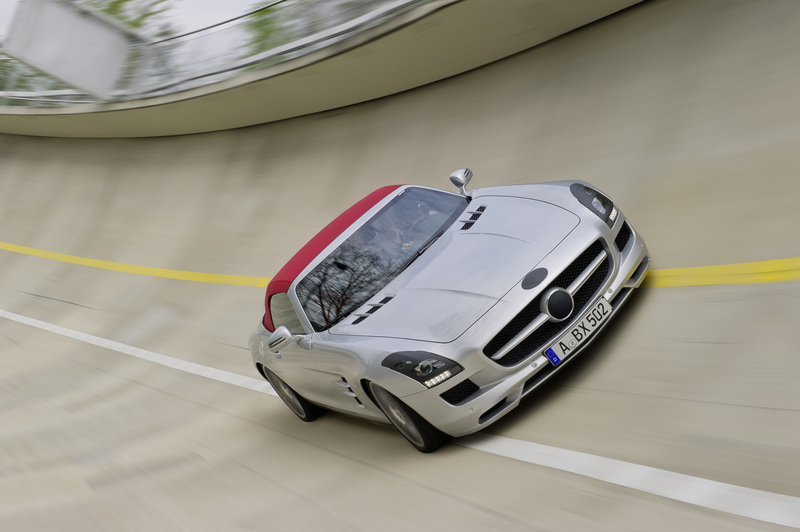 Tobias Moers: "The SLS AMG Roadster is a super-sportscar – just like the Coupé. It goes without saying that AMG is also determined to achieve superior driving dynamics with this open-top variant." In order to achieve handling dynamics identical to those of the Coupé, despite the lack of a fixed roof, the Roadster has two features designed to increase the rigidity of the bodyshell: the cross-member carrying the dashboard has additional supporting struts at the windscreen frame and at the centre tunnel, and a strut mounting stay between the soft top and the fuel tank makes the rear axle even more rigid. These features prevent unwanted vibrations from the start, and make the use of additional, weight-increasing vibration dampers such as those often employed by competitors unnecessary. As another important aspect, it is only if the bodyshell has the requisite rigidity that the soft top can be safely and reliably opened and closed electrohydraulically while on the move at up to 50 km/h. 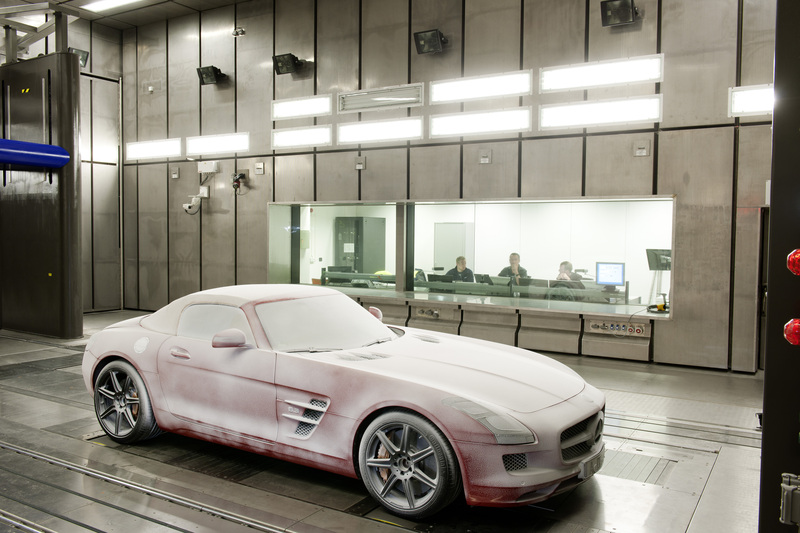 The side members of the front and rear modules in both SLS AMG models are identical. The bodyshell of the Roadster tips the scales at only 243 kilograms – which is comparable to the low, 241-kilogram weight of the SLS AMG Coupé's bodyshell. The compact fabric soft top, which can be conveniently opened and closed in just 11 seconds at the touch of a button, even at speeds up to 50 km/h, must also submit to various tortures. One of these is the standardised soft top endurance test used for all new Mercedes roadsters or Mercedes cabriolets: 20,000 closing cycles on a stationary test rig must present no problem for the hydraulic cylinders, electric motors and joints. There are also 2500 closing cycles while on the move, whether in great heat, icy cold, high humidity or dry desert winds. In this area too, nothing is left to chance – and for excellent reasons: the aim of this enormous effort is to give the customer limitless driving pleasure in their SLS AMG Roadster.